UPDATED: Mon., Nov. 27, 2017, 6:38 p.m. The Supreme Court will hear oral arguments next week on Christie v. NCAA. At issue for the justices: Whether the federal government has the right to control state lawmaking. At issue for the rest of us: Whether we have the right to make a sports bet legally. In 2011, New Jersey voters approved the legalization of sports betting. The NCAA, NBA, NHL, NFL and MLB challenged this, saying it would violate the 1992 Professional and Amateur Sports Protection Act – better known as PASPA, or “You Can’t Bet” – which essentially prohibits states from sanctioning any wagering on sporting events. New Jersey pretty much keeps losing on this issue, and now has appealed its case to the Supreme Court. The Supreme Court will decide if PASPA violates the anti-commandeering doctrine of the 10th Amendment. I have no idea what the anti-commandeering doctrine of the 10th Amendment is, I just know I can’t bet on the Colts-Jaguars game Sunday. Now, intellectually, I realize there is no reason I shouldn’t be allowed to bet on the Colts-Jaguars game; intellectually, I also realize I shouldn’t bet on any game, but we’ll get back to that in a moment. 1. We are a nation of gamblers. 2. Gamblers like to gamble. 3. Even when gamblers are not allowed – by law – to gamble, they will find a way to gamble. You can’t stop people from doing what they do; economists are a perfect example of this. So, with gambling, we should legalize it, regulate it and tax it. But, just as we do with, say, alcohol, all of us need to be vigilant about the habit. If you gamble – or know friends and family who gamble – it is imperative to make sure the gambling doesn’t morph from casual to chronic. Problem gambling is serious, gambling addiction can be tragic. Quitting betting on sports was the best decision of my adult life. I would think too much about which games to bet in the morning, I would adjust my schedule too much to follow those games in the evening. Even if I won – and, ultimately, in the long run I was going to lose – it occupied a disproportionate amount of my emotional energy and had the potential to ruin my professional and personal life. Thus, after one very bad fortuitous week in 1984, I stopped making sports bets. But if others want to bet, they should be able to bet. Translation: Somebody’s going to make money off of it, it may as well be us. 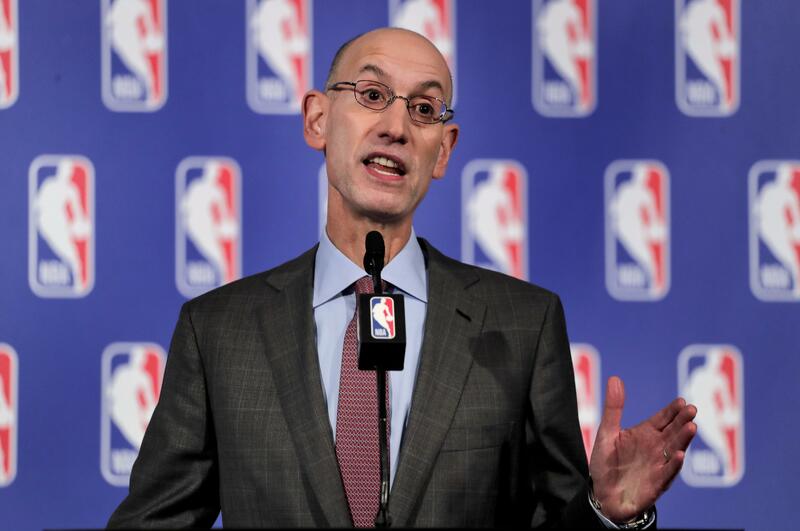 Indeed, when NBA commissioner Adam Silver came out in favor of legalized sports betting in 2014, he didn’t suddenly have a moral epiphany, he just understood it was in the league’s best interest to profit from the action. Like the old saying goes, “You can’t stop progress.” Alas, sometimes progress is regress. We should have the freedom to gamble more and the common sense to gamble less. That freedom is being addressed in New Jersey’s years-long effort to legalize sports betting. Christie v. NCAA is a fascinating case with far-reaching implications. How will the Supreme Court interpret the issue of the power of the federal government vis-á-vis states rights? I can’t pretend to know; this is above Couch Slouch’s pay grade. But, in my gambling gut, I believe PAPSA will be overturned, allowing states to decide whether they want to legalize sports betting, and many will. Besides, according to my sources, eight of the nine Supreme Court justices – Ruth Bader Ginsburg being the lone exception – play daily fantasy sports. A. Jones would never cut off his nose to spite his face – by then, he might need Santa to get his Cowboys into the playoffs. A. Yo entiendo y tienes mis simpatías. A. On (at least) two occasions, my wedding-day decision to show up has been somewhat faulty. Published: Nov. 27, 2017, 6:38 p.m. Updated: Nov. 27, 2017, 6:38 p.m.